Win 4 Movie Tickets Daily in #LGBIG17QUIZ. Here is a chance to win 4 movie tickets daily for yourself and the ones you love in the #LGBIG17QUIZ. 1. 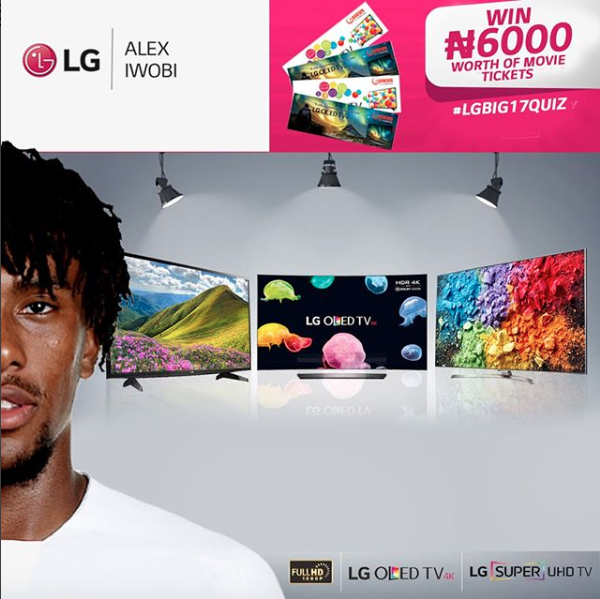 Show us how much you know about LG TVs and LG brand ambassador #AlexIwobi by answering our daily quiz questions correctly. 2. Stay tuned to LG Africa social media handles and stand a chance to be one of our daily winners. Pls how do I redeem my cash prize?